The Department of Transportation defines a large truck as a vehicle whose gross weight is over 10,000 pounds. Large trucks are often referred to as "semi-trucks." Accidents involving semi-trucks are some of the most serious kinds of collisions. There are around 500,000 trucking accidents in the United States every year, resulting in about 5,000 fatalities. Oklahoma ranks number 8 on the list of states with the most fatal trucking accidents. Since semi-truck accidents are among the most serious on the road, there are many regulations which apply to the trucking industry. Trucking companies must comply with the regulations of the Federal Motor Carrier Safety Administration (FMCSA) and the National Highway Traffic Safety Administration (NHTSA). The purpose of these regulations is to protect the public and make the public roads safer. To do this, regulations are aimed at ensuring that drivers follow the rules of the road and trucking companies properly train and operate their trucks. In Oklahoma, trucks are regulated through the Department of Transportation. It's important for those involved in truck accident cases to understand the laws which apply to their situation. To prepare a case, good lawyers will review the facts and help the injured persons establish a timeline of events. It is important to have a thorough investigator look into the case, the truck company, and the driver. The law firm will also evaluate the severity of a person's injuries, and what money and assistance the person will need to recover from the accident. In many situations, the severe injuries will cause problems for the rest of a person's life, which makes it very important for lawyers to fight for the maximum value. Insurance companies are often fighting to severely limit the amount of damages a person receives after an accident. They offer settlement amounts that only treat the most obvious physical injury, refusing to pay for future medical care and damages for psychological trauma. An Oklahoma truck accident law firm should fight for more than just the bare minimum offered by the insurance company. Trucking companies that push their drivers to violate hours of service standards, hire drivers without proper licensure, or carelessly fail to maintain the safety of their fleet must be held accountable. Trucking companies, like insurance companies, have excellent in-house lawyers who specialize in denying liability and limiting the recovery of people who are injured. Since trucking and insurance companies have nearly unlimited resources to fight cases, they can be a serious impediment to recovery for a plaintiff. That's why law firms like Compton Law work on a contingent fee basis. This means people injured in accidents don't need to come up with the same amount of money as insurance companies and trucking companies. Instead, our experienced Oklahoma trucking attorneys use contingency agreements which state that we only get paid if we win. We fight aggressively by hiring investigators, experts and physicians if necessary to win your case. If you or a loved one has been seriously injured in a semi-truck accident, time is of the essence. You need advice of a qualified Oklahoma trucking lawyer before the insurance company convinces you to settle. 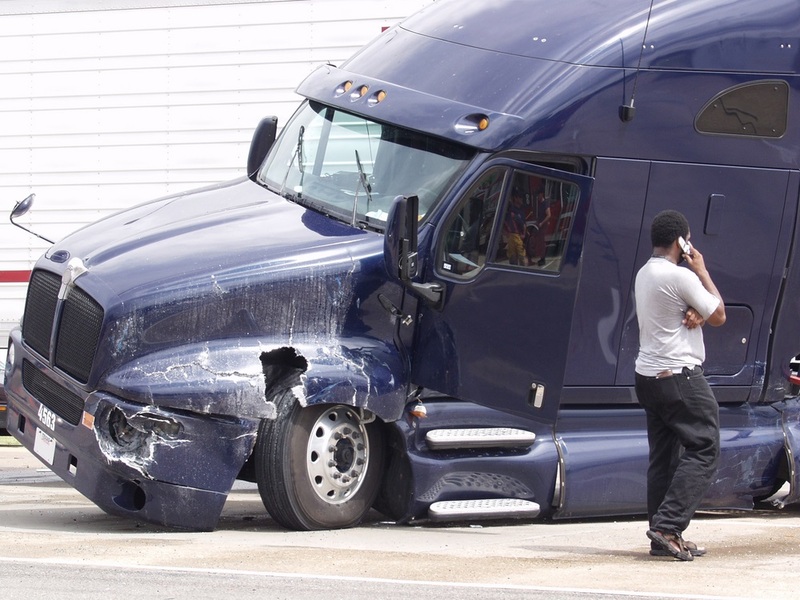 Our experienced lawyers understand how to win personal injury cases involving the trucking industry. If you or a loved one has been involved in a trucking accident, we will review your claim and answer your questions about taking legal action. Use our Contact form, Call 405-542-2529 (542-CLAW) and one of our Oklahoma Personal Injury Lawyers will explain your options. Read more about our team, or continue reading and researching our free legal information library.